Over the past few years, Dane County has seen a steady increase in gun deaths. 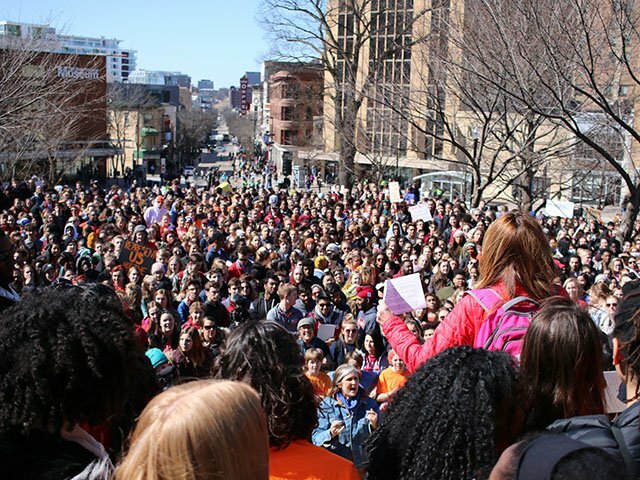 Our alarm over guns has been increasing as well, culminating in school walkouts and a Capitol Square protest in March. Fatal opioid overdoses are on the rise, too. As a matter of fact, between 2014 and 2016, opioids killed twice as many people in Dane County as guns did, homicides, suicides and accidents combined. Both issues deserve urgent attention. The gun problem is a tricky one. A sizable segment of society equates restrictions on gun possession with restrictions on freedom. When it comes to curbing overdoses, in contrast, freedom might be part of the solution. To save addicts’ lives, we should repeal laws that restrict cannabis and opioid use. When Sessions gave up a safe Senate seat to work for the worst boss ever, some questioned his intelligence. His archaic misconceptions about drugs confirm that he’s a nitwit. Recent studies suggest that marijuana is the opposite of a gateway drug. One study associated the passage of medical marijuana laws with a decrease in opioid prescriptions. A second determined that prescriptions dropped even more in states that legalized pot for recreational use. Marijuana can be dangerous, but it does wonders for the kinds of pain that drive potential addicts to the pharmacy. The desperate nation radically decriminalized all drugs, including opioids. There would no longer be any criminal punishment for mere possession or use. Instead of fecklessly trying to force addicts to straighten out, Portugal began treating opioid abuse as a public health problem. Today, Portugal’s overdose rate is a fraction of what it was in 2001. This is what happens when an industry operates in the shadows. The consumer is perpetually at risk. There are no established vendors or regulations. There is no legal recourse for aggrieved consumers. Under such conditions, product quality is subject to compromise. Underground industries also tend to have unreliable supply chains. Save for those who secure a prolonged prescription, opioid addicts are subject to cycles of deprivation. Deprivation interrupts the buildup of drug tolerance, which increases addicts’ vulnerability to overdose. Like alcoholism, drug addiction will always carry a stigma, no matter what the law says. But the current stigma attached to addiction is, to at least some degree, a function of prohibition. For the many otherwise law-abiding citizens who have been caught up in the opioid epidemic, acknowledging criminality is an upsetting prerequisite of seeking treatment. Removing this roadblock to treatment is completely within our control. Those who insist that removing the criminal stigma of opioid use is tantamount to an endorsement are mired in a destructive mode of black-and-white thinking. As for the message that legalization would send to our children, maybe the message is that we can make wise lifestyle decisions even without pressure from law enforcement. Though no one is advocating legality for children, parents shouldn’t depend on the legal code to teach their children the perils of drug use. Will more people use opioids when they are legal? Portugal’s experience suggests that they may. That’s a serious consideration. Addiction is misery for everyone affected. But as long as an addict is alive, there is hope for him or her. And, counterintuitive as it may seem, legalization is a proven method for preserving that hope. This is more or less what I've been urging on Facebook, Google+, Twitter, Isthmus.com, WORT-FM, NYT.com, Politico.com, thehill.com and several other media forums for quite a while now. But Mr. Cummins says it better than I, citing multiple examples of countries with far better policies and outcomes.